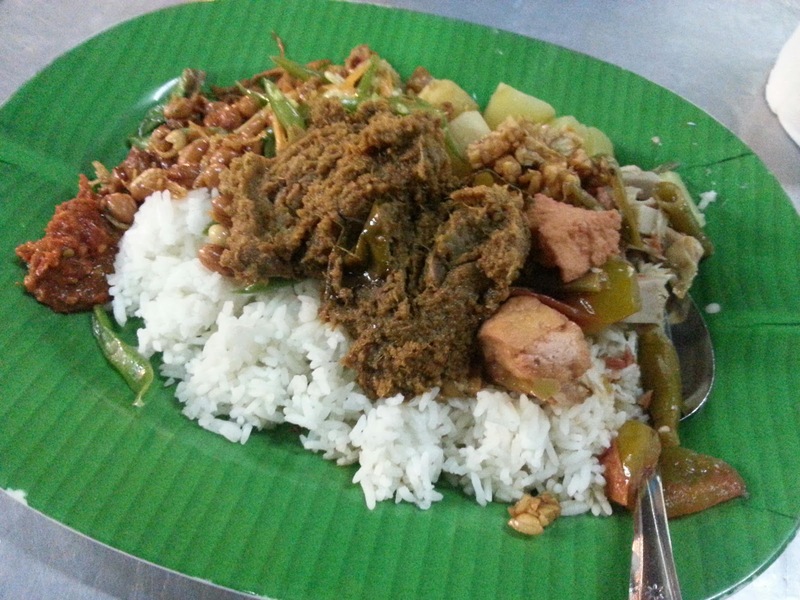 Note: This is the famous Nasi Sayur & Lontong Medan in Pluit area. They have no sign name, but you cannot wrong with their stall. Open only at night. Nasi Sayur + Rendang Sapi (Beef Rendang) come with rice topped with sayur lodeh (curry vegetables), tahu tauco (fermented bean tofu), buncis (French bean), teri kacang (anchovies peanut), cumi (squid), kentang bulat (small potato) and sambal terasi (prawn paste chili). Beef Rendang is an add on for the basic rice set. Taste good and tasty.